WEA have been away, but we are not out. After a grueling 2 weeks in Burgundy tasting the 2013s and inking deals with some exciting Domaines, we are finally back and READY TO GO! Briefly, the 2013 vintage is turning out to be better than expected (I know it sounds cliche but hey, its true!). Tasting through at least 20 Domaines, we get the sense that the ’13s will be somewhat like a blend of the ’11s and ’12s. As transparent as the ’11s but with the darker fruit and concentration of the ’12s. The bad news? For many Domaines, especially in the Cote de Nuits, it is an even smaller vintage than the ’12s. The only silver lining is that 2014 will be back to a ‘normal’ vintage, though the wines will only appear in late 2016… so unfortunately we will have to live with a small supply of Burgundies for a little while more. Many of the Domaines we will bring in are in the Cote de Nuits where the quality is high as expected. However, this time round we have also been sussing out some names from less headline villages like Aloxe-Corton, Volnay and Chassagne-Montrachet. We are particularly thrilled with Domaines where the younger generation has taken over and are elevating the quality to the next level. We will keep mum on these names for now, but over the course of the next few emails you will be acquainted with them. Quite a few of these Domaines are not reviewed by the usual critics. Reason being the USA is not their main export market. Many of the wines have never been seen in Singapore as well. One of them sells mostly to Japan (for more than 20 years!) and several sells mostly in Europe. The best thing about this is that the prices aren’t artificially inflated by global forces. An interesting anecdote though when we were talking with the Domaines is that the biggest growing market in Asia for Burgundy isn’t HK as many would expect. It is actually Taiwan and they have been buying up and down the price curve. Looks like we have some catching up to do! In November, we will start to offer out some exciting parcels we procured during our France buying trip as well as pre-arrivals for some of our new agency names. For the agency wines, we will have some 2012s to offer before Christmas, and early next year we will offer the 2013s – inline with the global Burgundy EP market. Exciting times ahead! We started off the month with lunch at Sushi Ichi where we popped a 2000 Bouchard Chevalier-Montrachet La Cabotte. The buttery, full-bodied Chevy paired superbly with the sushi. My last bottle and arguably showing the best now. On another evening we tried the 1999 Zilliken Saarburger Rausch Riesling Auslese #5 (half). Zilliken has been releasing a fair bit of older vintages recently and each has been stunning. This had layers of sweet dried apricots and pineapples with a long long finish. Mid-month we had a Mongeard-Mugneret dinner featuring the 2011s. Savigny-lès-Beaune 1er Cru Narbantons was a perfect wine at this stage. Pretty red fruits and lovely tannins – simply drinking beautifully. 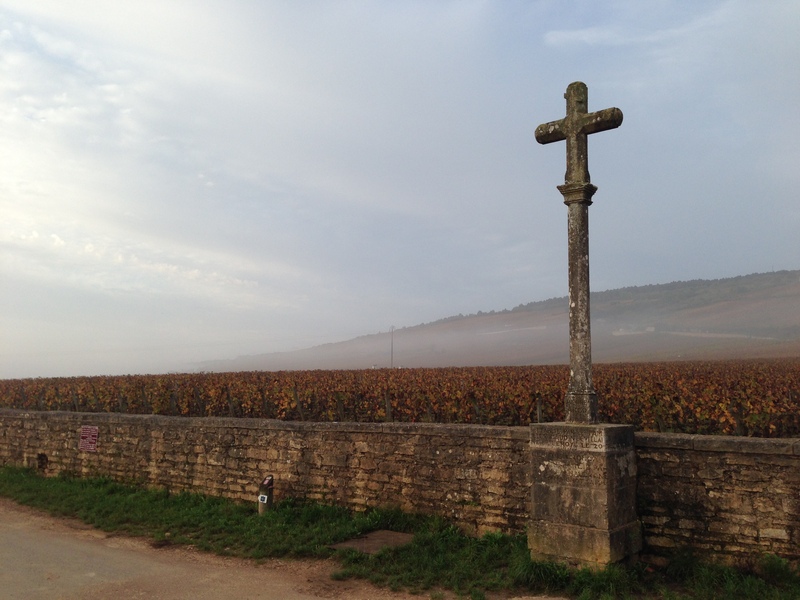 The Vosne-Romanée 1er Cru Les Orveaux beside it was all spice and the cool climate terroir shone through. We moved on to Nuits St. Georges 1er Cru Les Boudots which was more monolithic at the moment but given this cuvee’s track record, I’m sure there’s plenty of life ahead of it. Pairing with it was the Clos Vougeot which had a distinctive nose, more herbal and soil focused, on a larger frame. The last flight was a fight between the Echezeaux VV (last vintage from the Domaine as the vineyard was donated to Hospices de Beaune) and the Grands-Echezeaux. The former was more showy at the moment with roundness and plenty of Vosne spices while the latter was more clammed up but had huge dry extract begging for more aging – infanticide indeed. The dinner ended with 1995 Zilliken Saarburger Rausch Riesling Auslese #1 which if tasted blind would have been a ringer for a wine 10 years younger. Such was the freshness and bright color with the sweetness mellowed down a fair bit that it’s impossible to guess an Auslese. I’m not surprised this was rated JG98+. In Burgundy, aside from tasting numerous barrel samples from the 2013 vintage (and surprisingly 2014 as well), we indulged in some well priced gems from restaurant lists. The 2010 Emmanuel Rouget Echezeaux was showing beautifully with dark fruits, spice and layers of complexity. 2008 Coche Dury Volnay 1er Cru meanwhile was all red fruits with pretty high-toned cherry notes. Sweet fruits and a staggering finish rounded up the package. For those who only know WHITE Coches, you are missing out! We are going to have a RED Coche-Dury offer coming very soon, do watch out or drop me an email if you want to be informed beforehand. This entry was posted in Outlook on November 3, 2014 by WEA Wines.